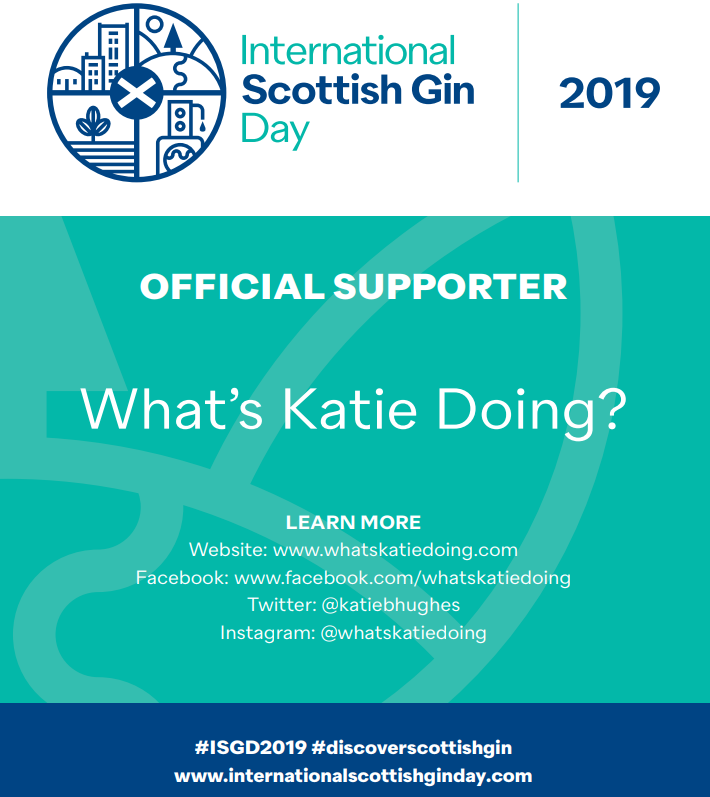 The Sacred drink: Gin - What's Katie Doing? After a long break, my first gin of the year at The Oliver Conquest was only on the 3rd March! I know over 2 months without a visit – I think that’s a record, at least for when I’ve actually been in the country. Sacred have a great range that we were delighted to try out, everything from a traditional London dry style gin – fresh and lush – they use 12 different botanticals in it including Frankincense as a fixative, which is unusual but complements the juniper as its a resinous flavour. This gin is a favourite at Duke’s bar for martinis. 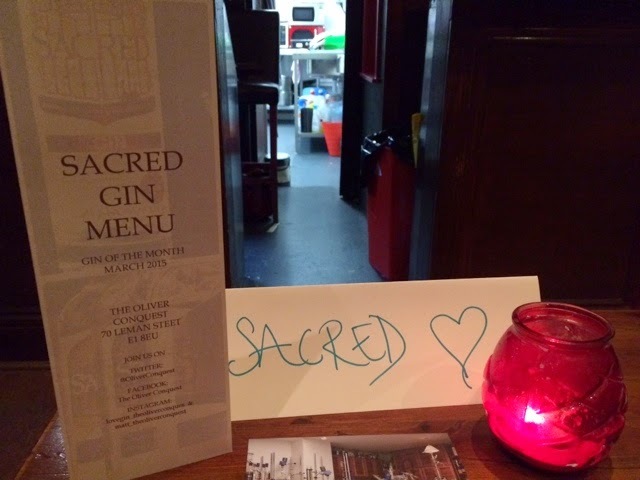 Sacred get their base spirit from Manchester and its made from wheat – a very high quality spirit to let the botantical flavours shine though, and they dilute down to gin % using the local Highgate tap water! 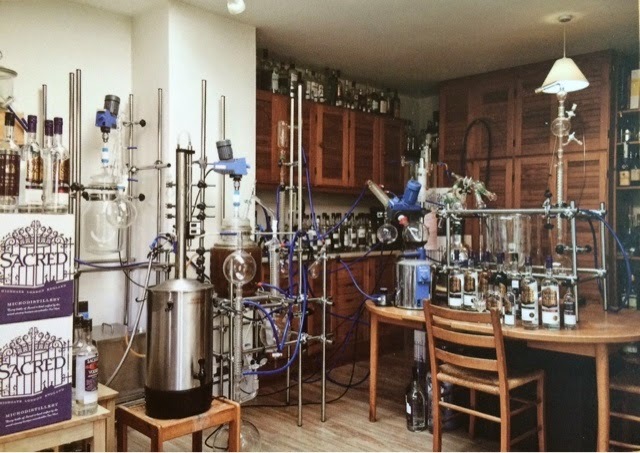 The set up in Highgate – in the kitchen, looking like a mad scientists set up – with the pipe for the vacuum still going through the wall. We were introduced to the whole range of gin and non gin but complementary products, including their English wine Vermouth and their equivalent of Campari – bitter Rosehip Cup, coloured and flavoured naturally. We tried the gins neat as well as in cocktails. 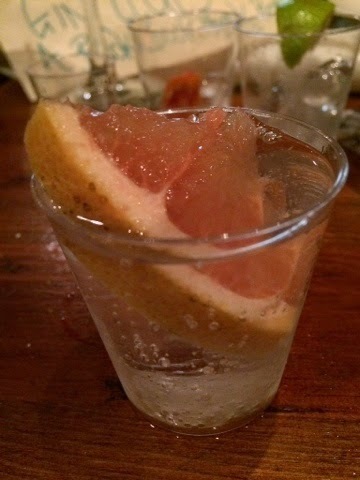 My first taste was their Grapefruit gin with tonic. This isn’t a flavoured gin, but grapefruit is the predominant botanical flavour (after the juniper pre-requisite of course!). I like citrus flavours so this was right up my street, the way they distill their gin – using vacuum distillation – means that they can distill at lower temperatures which preserves the more delicate flavours of the citrus fruit. Using organic fruit – a high quality ingredient – and long maceration periods of 4-6 weeks also helps bring this out. 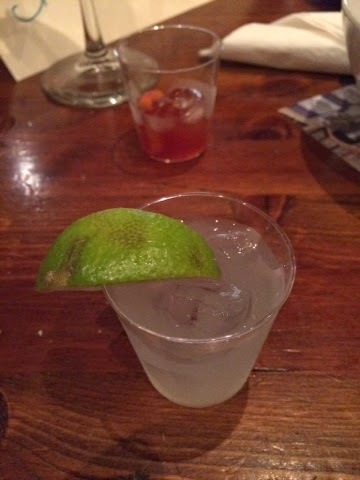 First up was the Coriander gin, served as a fresh lime gimlet. Coriander is a key botantical in a lot of London Dry gins, particularly Gordon’s, so if you like that, try the Sacred one next time you see it! A mini gimlet using Sacred Coriander gin and fresh lime juice – a tasty way to keep the scurvy away!! With a mini Negroni in the background. The Negroni was made with their Vermouth and Rosehip Cup. The Rosehip Cup includes rhubarb for acidity and grape skins for the colour and the Vermouth uses English wormwood to introduce the bitterness. I found it presently blended – I detest having cocktails that are all bitter, but the sweet and sour mix I do enjoy. 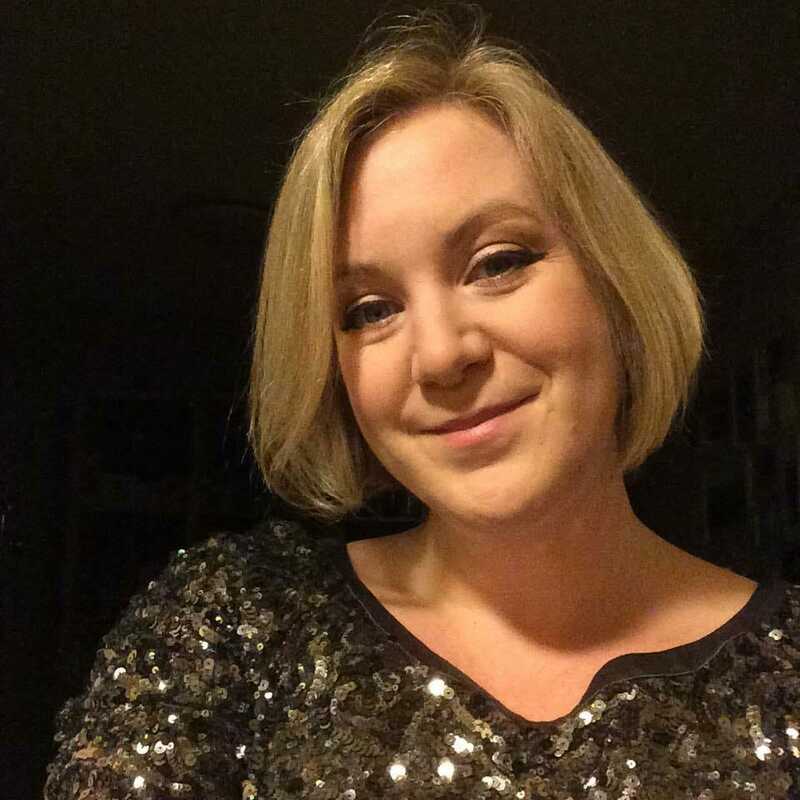 They also recommend mixing the Rosehip Cup with champagne for a different take on a Kir Royale. Last up was a Cardamom G&T. Again most gins include a little Cardamom, however Ian and Hilary have brought this to the forefront with a heavy Cardamom kick! They use green cardamom from Guatemala and the flavour is strong enough that the gin goes further – i.e. ideal if you don’t want a strong drink, you can add more tonic (FeverTree naturally!) and still taste the Cardamom. Cardamom gin and tonic – refreshing! 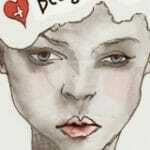 Inspired by this post to try out Sacred gins? Get down to the Oliver Conquest for their special offers for March. Want to buy some gin? Your collection is nothing without some cardamom and vermouth! 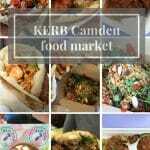 – you can buy online at Sacred Spirits Company or Gerry’s in Soho stocks pretty much any liquor you could want, including Sacred! Monday 4th May (bank holiday) Martin Millers gin – Laura and I met the boys at the Urban Villas opening, should be fun! If you are interested in the gin tasting, note that the Ferdinand's Quince is now on the 21st April, not the 14th! 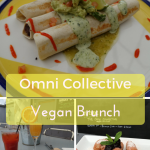 Tweet or email the Oliver Conquest to book in.